Why Is Pneumonia Such a Common Sickness in Nursing Homes? A family member or caretaker may not realize a loved one was neglected in an Illinois nursing home until after he or she has been transferred out of the nursing home. When your loved one is transferred out of a nursing home to a hospital sit down with the doctor and discuss the status of your loved one’s nursing home care. Frequently nursing home residents are transferred to the hospital for treatment of pneumonia. The unfortunate reality is that pneumonia may be the result of nursing home neglect. In 2010, pneumonia, combined with influenza, was the 8th leading cause of death in the United Sates, according to the National Center for Health Statistics. The Centers for Disease Controls reports 1 out of 20 adults who get pneumonia dies. Addressing the underlying causes of pneumonia in the elderly a serious matter. Pneumonia is frequently a symptom of inactivity. An injury from a fall or other physical neglect may result in limited or reduced mobility. Virtually every body system is affected by immobility. Immobility can worsen existing medical illnesses and lead to new ones such as circulatory problems including blood clots in the legs, further loss of strength, pressure ulcers, or pneumonia. Immobility as a result of poor nursing care or an injury decreases lung volume and weakens respiratory muscles thus making it easier for pneumonia to develop. Nursing home staff should encourage the resident to be as active as possible, whether it's turning over in bed or moving the wheels on his or her own wheelchair. You may not know if your loved one was immobilized as a result of injury or neglect but you will see the symptoms including pneumonia. If your loved one is diagnosed with pneumonia after being transferred from an Illinois nursing home take action and contact an experienced Chicago nursing home neglect attorney to evaluate your case. Keating Law Offices Attorneys Named to "SuperLawyers" List of "Rising Stars"
Illinois Nursing Home Abuse and Neglect Attorneys Michael S. Keating and Alexander Loftus of Keating Law Offices, P.C. in Chicago, Illinois have been named to SuperLawyers Magazine's annual list of "Rising Stars." Each year, no more than 2.5 percent of the lawyers in the state receive this honor. The selection for this respected list is made by the research team at Super Lawyers. Super Lawyers, a Thomson Reuters business, is a rating service of outstanding lawyers from more than 70 practice areas who have attained a high degree of peer recognition and professional achievement. 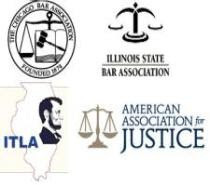 The annual selections are made using a rigorous multi--phased process that includes a statewide survey of lawyers, an independent research evaluation of candidates, and peer reviews by practice area. The list will be published in the annual edition of Illinois SuperLawyers Magazine and in the February 2014 edition of Chicago Magazine. Michael S. Keating was previously included in the “Rising Stars” list in 2011, 2012, and 2013. Alexander Loftus was including in the “Rising Stars” list for the first time last year. The Keating Law Offices attorneys were nominated by fellow attorneys and that nomination was reviewed by an attorney-led research team that reviews the credentials of potential candidates and assigns points based on a set of defined evaluation criteria. The point totals from the general survey and research process are then added to arrive at a final tally. Keating Law Offices, P.C. may be found on the internet at www.KeatingLegal.com. The firm is located at 79 West Monroe, Suite 1024 in Chicago, Illinois. Phone: 312-239-6787. Email: Info@KeatingLegal.com. All Illinois nursing homes have a duty to protect residents from each other. Many nursing home residents suffer dementia and other forms of mental illness that may result in violent outbursts. All too frequently, nursing home residents with mental illness are housed in close quarters and not properly supervised. The failure to properly supervise mentally ill residents may result in serious physical and emotional injury to the other residents. Under Illinois law, the nursing home is responsible for harm caused by unsupervised residents. The Nursing Home Care Act defines the minimum standards for nursing homes in Illinois including a patient’s right to be free from abuse and neglect. The Act defines “Abuse” as “any physical or mental injury or sexual assault inflicted on a resident other than by accidental means in a facility.” 210 ILCS 45/1-103. The Act defines “Neglect” as “a facility’s failure to provide, or willful withholding of, adequate medical care, mental health treatment, psychiatric rehabilitation, personal care, or assistance with activities of daily living that is necessary to avoid physical harm mental anguish or mental illness of a resident.” 210 ILCS 45/1-117. The nursing home is accountable for the actions of its unsupervised residents. Injuries resulting from an attack by another unsupervised resident are a symptom of neglect just like a bed sore or malnutrition. The Nursing Home Care Act holds long term care facilities accountable for neglecting to adequately supervise dangerous residents.